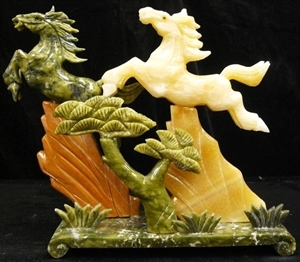 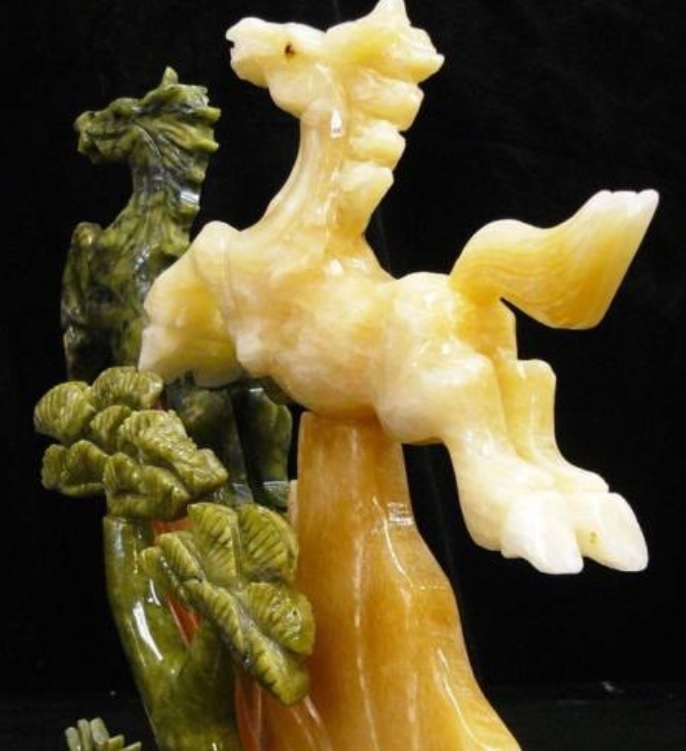 This jade 2 horses mountain is made from multiple jades, the green Taiwan Jade and Yellow jade. 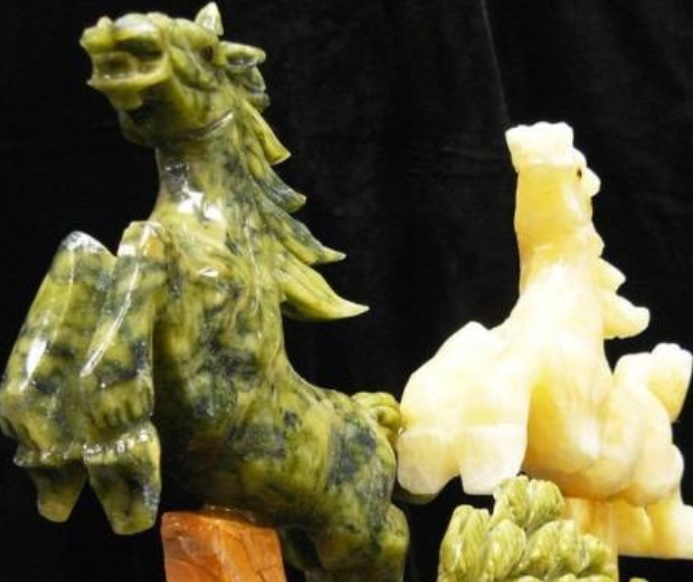 The colors are all natural. 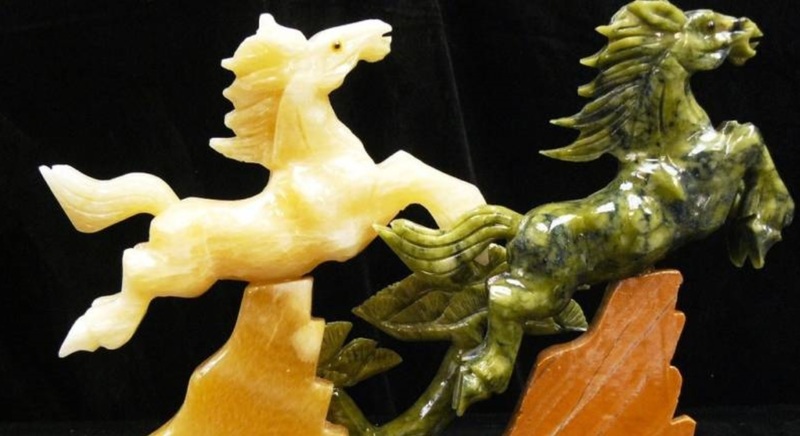 The Horse is the symbol of grace, Speed and Strength in Asian culture. 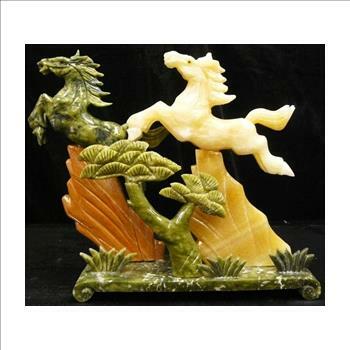 Size: L: 12", W: 3.5", H: 11"
Great for your collection/ home décor.